William Shakespeare! Elizabethan London and the Globe Theatre! This Globe Theatre sitemap traces the history and provides facts and information about the development of the world famous Globe Theatre. A comprehensive journey tracing the history of the great people and events leading up to the emergence of the Globe Thaetre which can be followed using this sitemap. Every section on the Globe Theatre Sitemap will provide a greater insight into the history of the greatest English Globe Theatre! The facts and information provided via the Globe Theatre Sitemap will provide a logical progression for visitors interested in learning more about the Old and the New Globe Theatre. The history of the theatre is quite fascinating. How the plays were first produced in the yards of inns - the Inn-yards. The first theatre and the development of the amphitheatre! The Elizabethan Entrepreneurs ( the men with both ideas and the money!). What did the Globe theatre look like? How big was it? Some unusual pictures and images of the old Globe theatre. The Superstars of the Elizabethan theatre! The famous actors who brought the plays and their various plots to life. Edward Alleyn, Henry Condell, William Shakespeare, Richard Burbadge and John Hemmings! 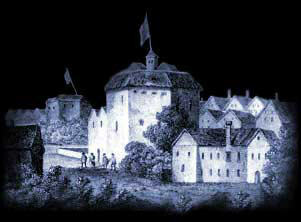 The theatre is synonymous with the great Elizabethan William Shakespeare. What sort of actor was he? Was he a money lender? Who were his friends and associates?